How does Whatsapp generate revenue? What's its business Model? EduPristine>Blog>How Does Whatsapp Generate Revenue? Whatsapp: The leading OTT messaging service. There is always a prominent question baffling every user’s mind – How is Whatsapp able to make money when its services are free of cost? Whatsapp enables its user to send text messages, images, video and audio media to other users. The said service is available on iOS, android, Symbian, blackberry OS and windows platforms. On a different note, Facebook has recently bought Whatsapp. Read about our analysis of Facebook’s acquisition of Whatsapp! 1) Subscription Fee: Whatsapp allows it’s user to enjoy the services for free for first year. However, after that it charges $0.99 for continued service. But till date, I have not heard of a single person who has paid for this service. Interestingly, it tends to extend the free service period every time a user reaches close to the expiry date. So this method of revenue generation that seems like the only visible revenue generation scheme is actually not generating the revenue. Let’s take a deeper look into this! 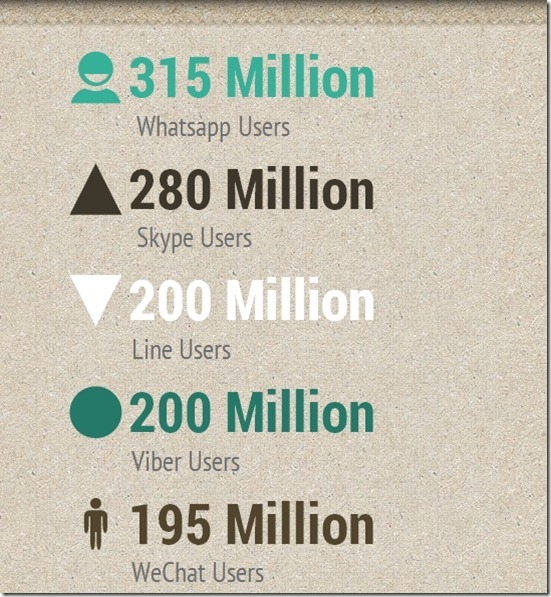 Whatsapp users have been ever increasing since the launch currently numbering out users on any other competitor. Given such high number of users, the number of messages exchanged per day is also incredibly high in case of Whatsapp- peaking as high as 11 billion. With such extensive information available on Whatsapp backups, the big companies are willing to pay handsome amounts for information extraction. This data management scheme is merely a speculation. As evident, Whatsapp is not involved in ad marketing. Any user can vouch for the fact that it does not support advertisements. Whatsapp’s CEO Jan Koum clearly states that Whatsapp is meant for instant messaging and forcing advertisements would disrupt the sole meaning of that. There is no way to justify the data management ideology, but then there is no other justified revenue model as well in the store. Intriguing, isn’t it? If you wish to add anything further to the blog, go ahead and post your thoughts in the comments section below! Update: WhatsApp is now available on web. You can now access WhatsApp from your laptop and desktops.